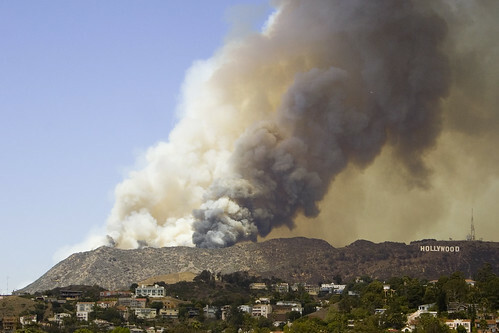 Huge fire in the Hollywood Hills today. Took some shots from the Capitol roof. EDIT: over 1,500 views of this photo as of 4/2/2007! EDIT 2: over 2,500 views as of 5/10/2007! EDIT 3: over 3,000 views! Thanks, everybody!